Will You Be My Handmade Valentine? Handcrafted items from the artisans of HandmadeMN make perfect Valentine's Day gifts because they're wonderfully unique and made with great love. Even better, you can order online and have them delivered directly to your door! Here are few items to consider for your holiday purchases. A Cupid-themed card from LochNessMPLS will shoot a message of love directly the heart of your Valentine. With romantically colored art on the front, it's blank inside so you can write your own personalized message. This card is sure to be saved and cherished for years to come. 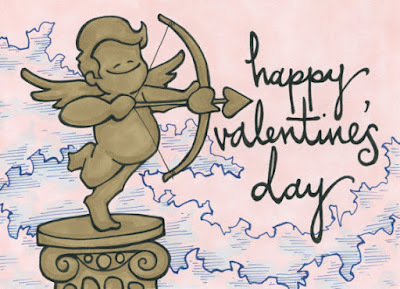 A cute Cupid is ready to help you express your love and admiration. Red items that can enjoyed all year long make much-appreciated Valentine's Day gifts. 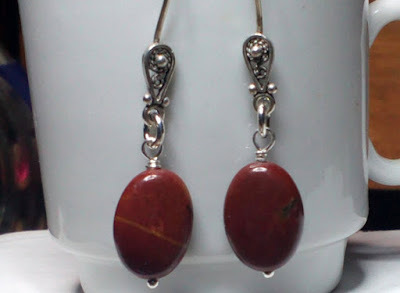 These earrings of Picasso Jasper by gemstonetalisman happen to be various shades of earthy, rusty red. Unique color variations in both stones make them even more special. 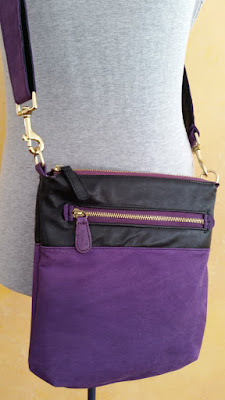 Set in sterling silver, they'll be a great complement to a variety of outfits, at a very affordable $20. Tones of red suggest love and passion. Celebrate your best gal pals on Galentine's Day! When is Galentine's Day, you ask? It's anytime you like, but how about February 13? (Ask Leslie Knope from the hit TV comedy show Parks and Recreation!) 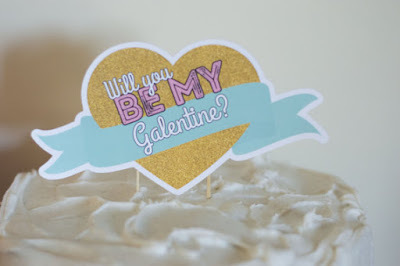 Make your own Galentine's Day sign or cake topper with this fun and festive digital download from ElvaM. 'Tis the season to celebrate your friends! ﻿﻿﻿﻿﻿Do you know a special child who is the king or queen of your heart? A crown of leather and rhinestones from madebyalejandro is a perfect way to say, "I love you!" It will last for years, and only look better with age and wear. 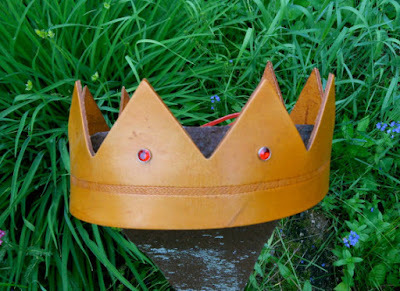 This crown will offer hours and hours of imaginative play, and is sure to become a treasured possession. 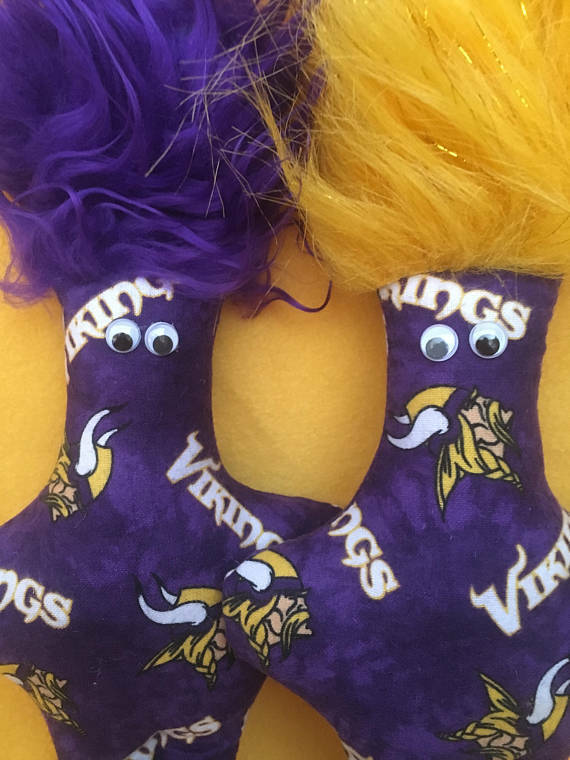 Despite a heartbreaking loss, everyone still has Vikings fever these days. You'll always remember Valentine's Day 2018 and an incredible season of Minnesota football when you view this handcrafted wall art. 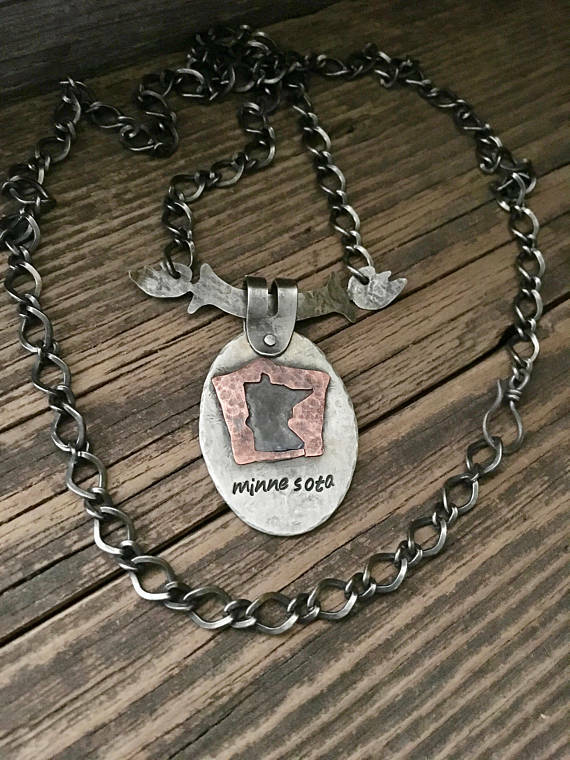 Its striking design by 1728Designs makes it a perfect gift for casual and die-hard fans alike. 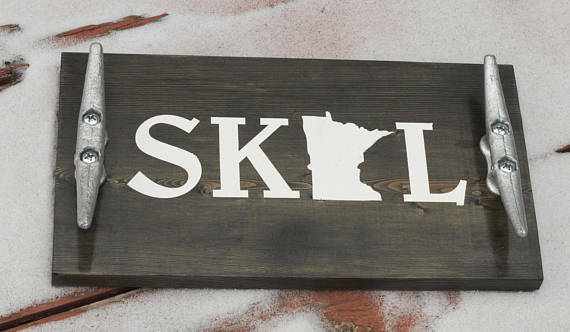 The spirit of Minnesota football is perfectly captured in this expertly designed wall art. As you can see, the makers of the HandmadeMN Etsy team offer Valentine's Day gifts ranging from the traditional to the wonderfully creative. Take some time today to view these Etsy shops, and all the HandmadeMN shops, to find the gifts that speak to your heart. 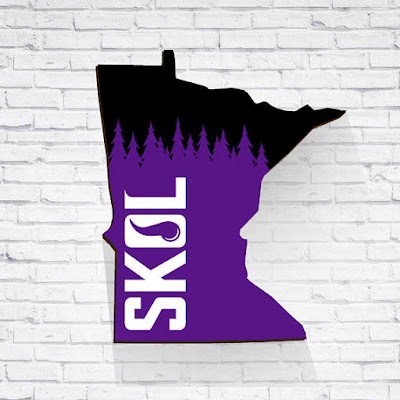 Serve up your favorite game day treats with a SKOL dock tie serving tray by Cellar Co.
Skol! A cheer we heard loud and clear at the Viking football game last Sunday as our player made a miraculous catch and scored in the last few seconds to win the game. After losing many close play-off games in the past, we are down right giddy. The stakes are even higher this year as Minneapolis hosts the Super Bowl on February 4th. Dare we dream so big as to see our Vikes play in the Super Bowl?! 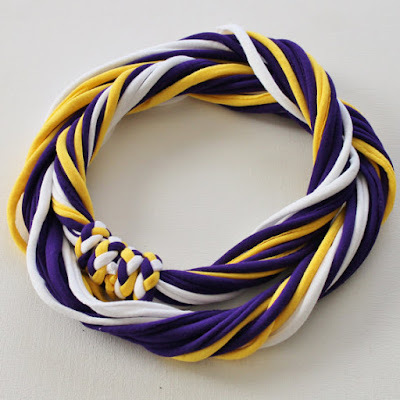 We honor our team spirit with a Minnesota purple and gold themed gift guide. Show your pride with Spirit Wear by Palette Passion. 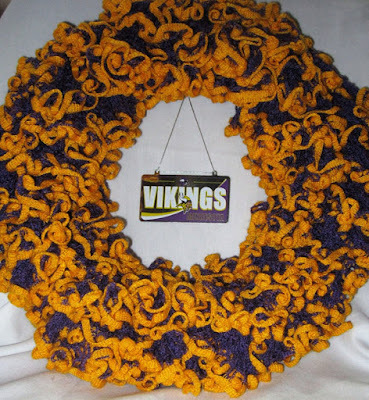 Susie B Handicraft has the perfect party Wreath for the fan who bleeds purple & gold. A royal purple Suede Bag is the perfect accessory by Sewing For The Harvest. 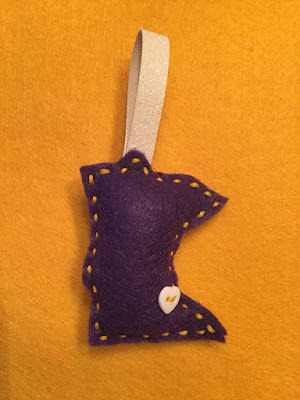 gift tags or wine bottle accessories. Viking Good Luck Cheer Dolls are a fun party favor. A perfect way to celebrate or get rid of some frustration. Check out the listing for the poetic instructions by Sock Monkey Angel.